The Beauty Chef's Beauty Fix Balm is a multi-purpose product, crafted to give a feeling of hydration, nourishment, and healing protection to skin. This balm can be used on the lips, eyes, hands, feet, elbows, knees, etc. 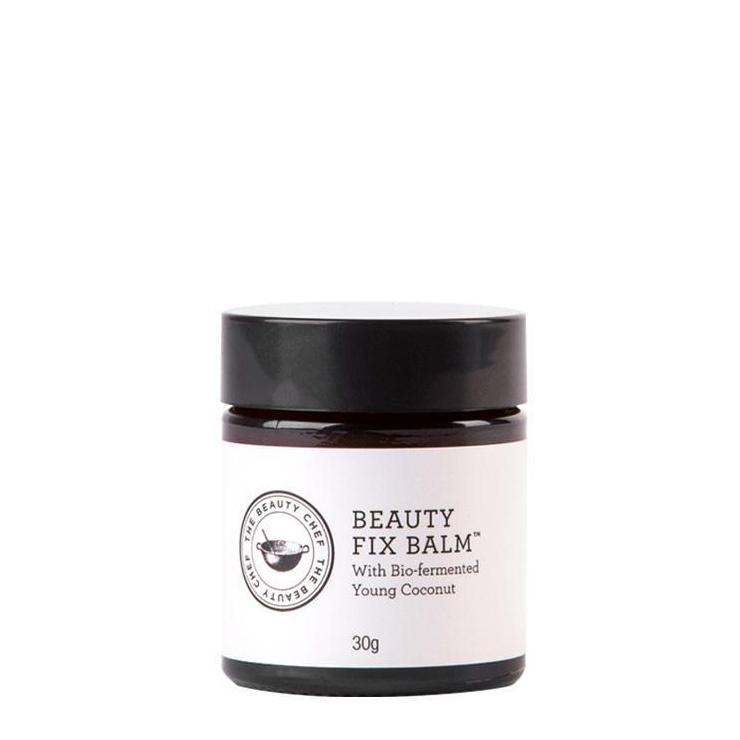 The Beauty Fix Balm is a mix of Botanical Oils, a unique fermented Coconut Oil, and an assortment of seeds and grains - all making it abundant in vitamins, minerals, essential fatty acids, and amino acid peptides. This multi-use coconut oil balm offers an ultimately hydrated feel and is your do-everything for all of your skin care needs. Apply evenly to lips, around eyes, hands, feet, knees, elbows, or any other dry spots/problem areas.